Even if one dislikes it, one can't deny the important part of that cheese in the cheese-making history. Unfortunately, it is generally unrecognized, and one knows a little about its story, its making or the best way to relish it. The web and these pages will offer you an unique opportunity to make disappear that lack of knowledge. In fact, cheeses were produced in Camembert since at least 1680. For example, Thomas Corneille (the brother of the famous French writer) wrote in 1708 in his "General Geographic and Historical Dictionary", that every Monday on the Vimoutiers market, you could buy excellent cheeses from the Camembert area. Marie Harel had probably "just" improved the recipe, helped by a non-juring priest (Abbey Bonvoust) that she was hiding since 1790, and who gave her a secret about the preparation of cheese. At the end of the XIXth century, railwails and steamboats spread all over Europe, which created new outlets for the camembert cheese in France and abroad. The Camembert producers were obviously quickly interested by these new opportunities but one problem remained: how to carry efficiently the camembert cheese... In 1890 the French engineer Ridel created a wood box to make this cheese carriage easier. Soon that simple and cheap idea became used by all the camembert producers. 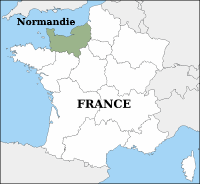 The success of the camembert in those days deeply changed the social organisation of a large part of Normandy: "le pays d'Auge" (the Auge country).The milk production became the first agricultural production and in the same time, the rich farmers organized co-operative societies to collect milk from different farms. This evolution probably changed the taste of the camembert and gave it the one we know today. At that moment, it also obtained its light yellow color. The great drama of camembert will be played a few years later ... 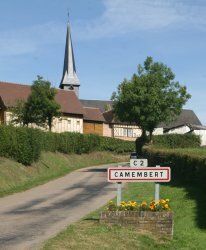 While it acquired a certain reputation during the first world war (see page "Sidelights of Camembert history") more and more producers in France and abroad start to produce cheeses that they call "Camembert" (even when the only link between the two products seems to be a vague resemblance). 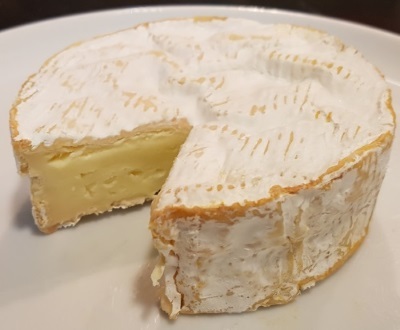 The producers of Camembert Normand, who now perceive a danger in this recognition and who want to preserve their exclusivity on this product will therefore try to assert their rights on the legal ground.